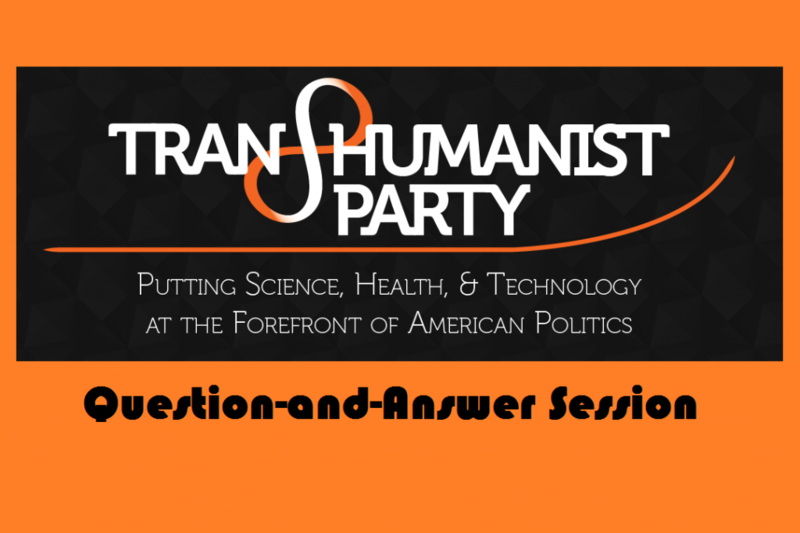 In this interactive question-and-answer session, scheduled for 11 a.m. U.S. Pacific Time on Saturday, July 15, 2017, U.S. Transhumanist Party Officers answered members’ and the public’s questions about the ongoing activities and objectives of the United States Transhumanist Party and also discussed other issues of interest that relate to emerging technologies and how to ensure the best possible future for sentient entities. Because of an unexpected technical difficulty, the video stream was split into two portions. Join the U.S. Transhumanist Party for free by filling out our membership application form at https://goo.gl/forms/IpUjooEZjnfOFUMi2. Visit the U.S. Transhumanist Party Facebook page at https://www.facebook.com/USTranshumanistParty/. Visit the U.S. Transhumanist Party Twitter page at https://twitter.com/USTranshumanist.